Increasing population and inflow of people to the metros has consistently increased a demand in the real estate industry. In turn the industry is witnessing a substantial growth in the construction industry, creating considerable opportunities in India. Thus our aim at Exquisite Properties is to target this potential. Our Primary Objective is to Develop Relationships for creating solutions that will add Value in Real Estate & Re-development proposals. 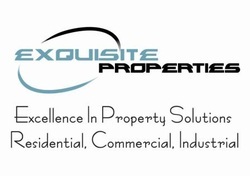 Exquisite Properties is incorporated to provide 360 degrees solutions to its client’s real estate needs. The Company’s aim is to provide suitable property options, re-development, investment advisory and property consultancy.